Join us on Youth Retreat 2011 in Salvo, NC for a weekend of worship, fellowship, and learning God's Word. Choose a sermon from below. We hope you'll be blessed by hearing our pastor preach the Word of God. Come out an support our softball players tonight at the Princess Anne Athletic Complex at 8:45 and 9:45. We hope to see you there. Come join us for baby dedications on May 8, 2011. If you would like to dedicate your baby to Jesus Christ during this service please use the sign up form below and we will contact shortly. We hope to see you there. Get to know us better at our Discovering Membership Class. Enjoy a free lunch followed by the class as we share the vision of New Song Fellowship. This is a fun and informative afternoon and there’s no obligation on your part whatsoever. Free childcare is also provided. Anyone wanting a delicious lunch! Anyone wanting to learn more about our fellowship. Anyone considering joining the New Song Fellowship. Anyone wanting to reestablish membership status. New Song Fellowship is organizing an adult COED softball team for the Spring 2011 VB Parks and Recreation season. Players must be at least 18 years old or high school graduates. No minimum skill level required as we will be playing purely for fun and fellowship. Games will be played from mid-April through mid-June with a one night per week game commitment (double-headers). All games will be played in Virginia Beach (actual field TBD). Join us for an exciting Saturday of Laser Tag with the youth. Details such as price and location will be coming soon. STOMP is an exciting event for youth which includes Live music, extreme games, food, and worship. There will be a message at the end of each STOMP to remind the youth what this life is all about Jesus Christ. STOMP stands for Spiritual Transformation of My People. Join us for a special baptismal service where our new brothers and sisters in Christ publicly proclaim Jesus Christ as their Lord and Savior. Not even Broadway has taken you to a place quite like this! 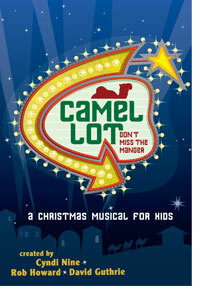 Take your kids, and congregation on a delightful journey to the manger ... by camel! As you've come to expect from Little Big Stuff Music, the new musical company just for kids, Camel Lot is filled with the coolest music; a fun, funny, but Biblically rock-solid message; and the best time your kids will have anywhere this Christmas!